Most people in this area are familiar with the bike sharing system Capital Bikeshare. 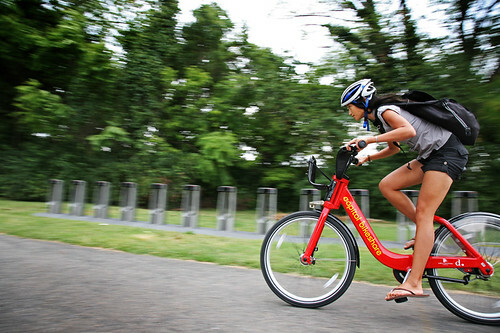 Three-speed bikes can be used for short trips in DC and Arlington. For members, the first 30 minutes of the trip are free, so most people time their trips to be less than that. Trips longer than 30 minutes are expensive. Brompton Dock is an extension of familiar ‘park and ride’ programs. Commuters arrive at Guidlford train station where 40 Bromptons are stored in a bank of lockers on the platform. When the membership smartcard is swiped, a screen indicates which bay is unlocked, and the commuter can take the folded bike to use straight away, or carry on the train to within cycling distance of their destination. Members can keep the bike for as long as they like, and return it to the dock when they’re finished. The program is designed to be “simple, convenient and excellent value for money”. Membership costs GBP 50 ($81) a year, and includes annual 24/7 access to Brompton Dock. Bike hire is GBP 4 ($6.50) per day for a single day, GBP 2 ($3.25) per day for more than a weeks hire, and GBP 1.60 ($2.60) per day for one months hire. The smartcard keeps track of bike usage and members are charged at the end of each month. Though currently only available in Guildford, Brompton are working with South West trains and other organizations to bring the program to other locations. Those prices seem very reasonable. Wonder if such a system would work here in Fairfax. 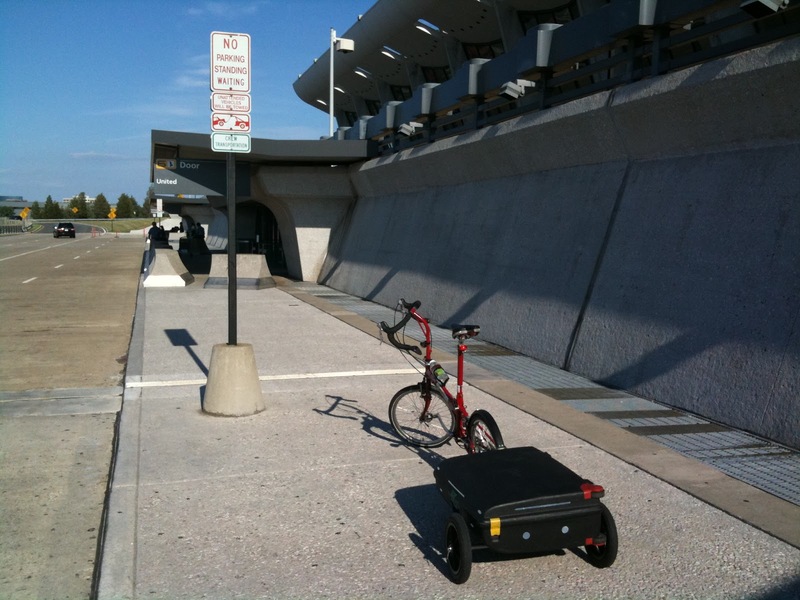 I can see commuters coming from DC and Arlington picking up a Brompton upon entering Metro, arriving at one of the Tysons or Reston Metro stations, and riding that last mile or two to work. They could do the same using a bus. It certainly helps overcome the last mile problem. Thanks to John of All Ability Cycles for the link. Are bikes environmentally friendlier than cars? You would think the answer to that question would be obvious. Cars are much larger than bikes, burn fossil fuels, require a massive network of roads and parking facilities, etc. Yes there are environmental costs related to producing, maintaining, and riding bicycles, but it's difficult to quantify those costs. In the article in today's Post Health section, Are bikes environmentally friendlier than cars? Green Lantern runs the numbers., there's a discussion of the cost comparison. Based on information from two studies, it's estimated that the carbon footprint of manufacturing a bike is around 530 pounds of CO2 emissions. According to the article, "...you would have to ride your bike instead of driving for around 400 miles to cover the bike’s initial carbon footprint." Calculating the total environmental impact of a mode of transit, however, involves more than just the easy-to-measure metrics such as miles per gallon. To get a full sense of the comparative eco-friendliness of bicycles and automobiles, you have to consider additional factors, including their toll on the roadways, useful lifetime and maintenance costs. Dave’s research went on to measure the full carbon footprint of commuting by bike using life-cycle assessment, the analytical tool that environmental consultants employ to compare products that are often very different. She concluded that an ordinary sedan’s carbon footprint is more than 10 times greater than a conventional bicycle on a mile-for-mile basis, assuming each survives 15 years and you ride the bike 2,000 miles per year (or slightly less than eight miles per weekday). What about other ways to get to work? According to Dave’s life-cycle analysis, the only vehicle that comes close is the peak-hour bus — and it’s not really that close. A fully loaded bus is responsible for 2.6 times the carbon emissions total of a bicycle per passenger mile. You wouldn't know it from reading the Washington Post, but two international cycling events were held recently. The Tour of Spain (Vuelta a Espana) is still underway. For those of you who get the Universal Sports channel, you can watch the final week live in the morning and recaps later in the day. On Sunday Levi Leipheimer won the US Pro Cycling Challenge, a new stage race in Colorado. Most of the major U.S. pros were present along with the winner of the Tour de France, Cadel Evans, who finished 7th, the Schleck brothers, and many others. The top five finishers were from the U.S.: 1. Leipheimer, L., 2. VandeVelde, C. 3. Van Garderen, T. 4. Danielson, T. and 5. Hincapie, G.
Fairfax County offers over 500 miles of hiking and biking trails, the majority of which are asphalt paved (although some remain natural). All of the Fairfax Connector buses are equipped with bike racks so commuting by bicycle has never been easier. After Tuesday’s earthquake, roads were jammed and Metro slowed, but one mode of transportation sparkled: bicycling. People who had biked to work had little trouble getting home, and the Capital Bikeshare system recorded 1,236 rides between 2 and 4 p.m., more than three times the number for same period the previous day. That’s a particularly impressive statistic, given that there are only 1,100 bikes in the system and that the vans that redistribute bikes got stuck in the traffic. Paris has 20,000 bicycles at 1,202 stations (vs. our 120) in a space smaller than inside-the-Beltway Washington. We should have that many, too, and could for about the same price as that Gainesville interchange. Not that CaBi has to limit itself to inside the Beltway: Rockville is getting a small set of bikes and stations . College Park wants in, too. Something in Tysons Corner could ease the third rush hour that occurs when office workers drive to nearby restaurants. As Markham was riding home through Fairfax City that evening around 7 p.m., an ice cream truck struck him a short distance from the Fairfax Square Apartment complex. Markham suffered broken ribs, one of which punctured his lung. We assume Washington Biking Association is Washington Area Bicyclists Association (WABA). We plan to get in touch with Brendan and work with him to figure improve bicycle safety education in this area. Several major Tysons rezoning applications will be coming before the Fairfax Co Planning Commission and Board of Supervisors in the coming months. One of the first set of applications will be heard by the Planning Commission on September 8. As Tysons redevelops it's important that bicycle facilities are included in all Tysons projects. The Tysons Bicycle Master Plan was recently completed but has not been formally adopted by the Board, so the recommendations are not binding yet. The first rezonings under the new Comprehensive Plan for Tysons are scheduled for a public hearing at the Fairfax County Planning Commission on September 8. These applications are RZ 2010-PR-014A and 014B, Georgelas Group LLC, which are located near the future Tysons Spring Hill Metro Station. We would like to invite the public to an informational meeting on the rezonings. The meeting will be held at the Vienna Town Hall, 127 Center Street South, on Thursday, September 1 at 7:30 pm. The applicant and Fairfax County staff will be on hand to review the rezoning proposals and to answer questions. The staff report for the applications will be available on the county website. 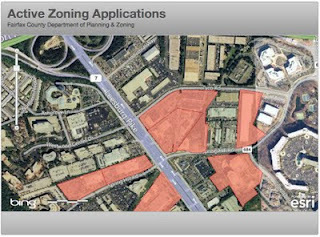 See the Fairfax County Active Zoning Applications Interactive Map which allows you to zoom to the Tysons area, select parcels, and display application information. I was not able to list info for the 014B application (an error message appeared). Update: See additional information on these applications on the Fairfax Co website. 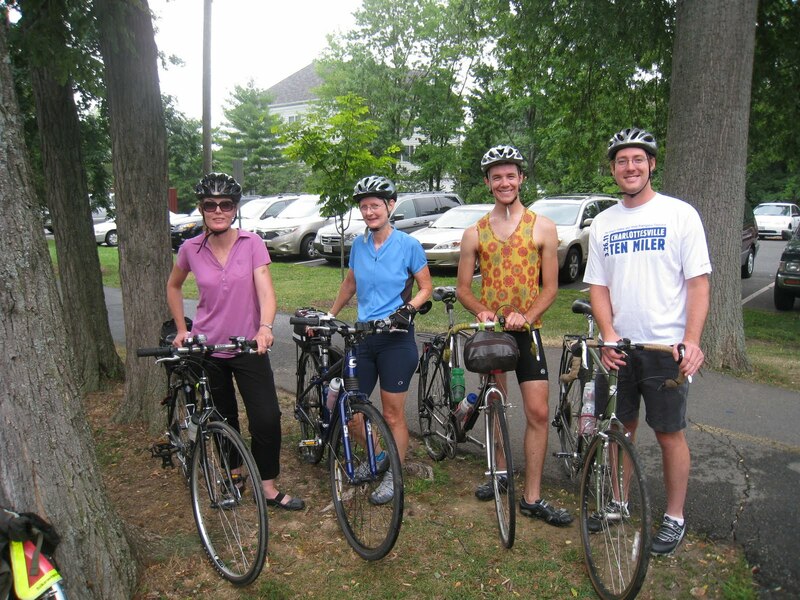 Shape the next 5 years of bicycle advocacy in the Washington, DC region! The Washington Area Bicyclist Association is pleased to announce its Regional Call to Action Summit on November 3rd, 2011 in Arlington, VA. At the Call to Action Summit, WABA will be presenting a five-year plan of regional and local priorities for bicycling in the Washington Region. The summit will include presentations on the Metro's long-term bicycle and pedestrian plans, health planning and bicycles, a panel discussion on the economics of the bicycle industry and much more. We want your input on the regional plan! We will be holding short, two hour meetings in the six local jurisdictions that WABA serves in order to gather your ideas and give you--the region's local bicyclists--a chance to provide input for the regional plan. We ask attendees to please download and complete the Pre-Meeting Planning Sheet prior to the meeting. 2) Can't make the local meeting? The one page PDF planning sheet gives a basic framework for providing input for the five year regional priority plan we are creating. Whether you are at your local meeting or not, WABA and your fellow bike advocates want to hear from you! We hope to see you at a local meeting or the Call to Action Summit on November 3rd. Prince William and Loudoun Counties are also not included in the pre-meeting schedule and will likely not be included in the Summit. 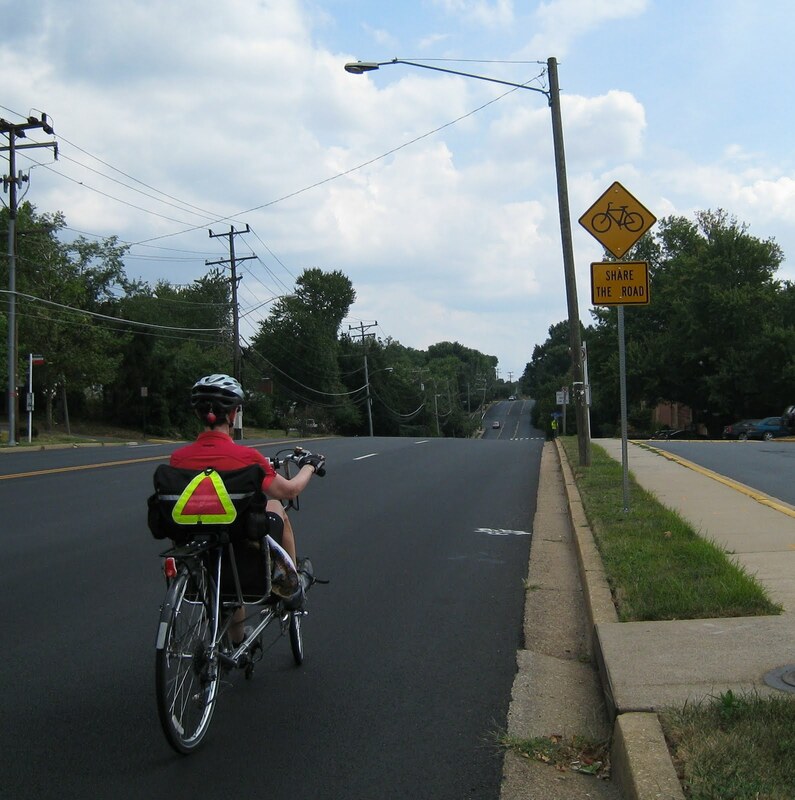 All the more reason for a VDOT NoVa District bicycle advisory committee which would help coordinate bicycle projects in the greater Northern Virginia region. Today in Vienna an enthusiastic crowd of cyclists and others met members of the velomobile group, Roll Over America, on their last day of a four-week cross-country tour of the U.S. Most of the group were from Europe, primarily Germany and the Netherlands. There were also a few from the U.S. including reps from VelomobileUSA which makes and sells velomobiles in Texas. There were 30 velomobile drivers who stopped for about an hour to enjoy lemonade, cookies and water provided by FABB (thanks to Fionnuala for organizing the event). It was impressive seeing the colorful collection of velomobiles in one place. The first group rolled in at around 3:45pm and the rest came in over the next hour. The group was on their way to their final stop in the tour in Georgetown. Velomobiles can be an excellent way to use a pedal-powered vehicle year round. Most of them have an enclosing cover that can be used in foul weather. Some have full suspension, including independent suspension that makes for a comfortable ride (although unfortunately we didn't get a chance to try one out). The vehicle produced by VelomobileUSA costs around $10,500 shipped. The tour is a great way to show off the technology and get people excited about the prospects of using velomobiles for daily travel. Four of the vehicles were power-assisted, but due to the long distances traveled, and the relatively short battery life, those vehicles were often the last to arrive after having to stop to recharge the batteries. For now pedal power is the way to go for long distance velomobile travel. As the group was leaving Vienna we took this video that shows all 30 vehicles rolling toward Georgetown on the W&OD Trail. See a video about the velomobile tour stop in Vienna on Vienna Patch. Roll over America, the velomobile tour of the U.S., will stop in Vienna sometime after 3pm today. FABB plans to greet and provide refreshments for the group as they ride toward the end of their cross-country tour in Georgetown later today. We'll be at the caboose in downtown Vienna adjacent to the W&OD Trail. 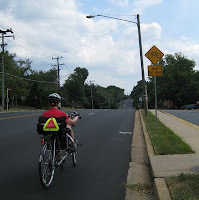 Fairfax City patch recently published a blog article entitled A Case for Bike Lanes? that asks the question "What do you think about bike lanes? Are they useful, or just a trend? Where would you want to see them in Fairfax City?" In the past 10 years I have seen bike lanes installed in every condition, from the cycle tracks along Pennsylvania Avenue to converted shoulders on rural roads in Delaware. 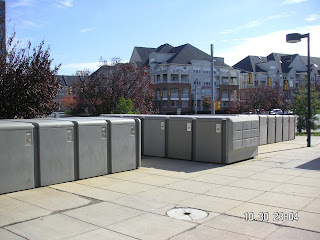 George Mason recently installed them along Patriot Circle and they have been used as part of a “road diet” in Reston. Fairfax City has yet to hop on this bandwagon, but it has been discussed. So, should we? And if so, where do bike lanes make sense? First, it is important to understand why bike lanes have been all the rage over the past few years. I mean, why not just use sidewalks or paths? Well, bike lanes function more like bike highways for commuters in that they don’t require you to slow down at every street crossing as you do when using a sidewalk or parallel path. It is important for bike commuters to be able to maintain a constant high rate of speed in order to make biking a more competitive alternative to driving (bikers should still stop at traffic lights and stop signs, though I realize many do not). Bike paths on the other hand are more desirable for leisure riders. A group of velomobile riders are finishing their ride across America this week and will be passing through Northern Virginia on the W&OD Trail on Wednesday afternoon. The group plans to eat lunch in Paeonian Springs and will likely pass through Reston and Vienna mid afternoon. "We in the West have to start doing things in a different way to make room for others to adapt," Janning says in the video. What does this mean? What Janning gets at is the idea that we have to move away from cars and to bicycles and velomobiles. He talks how he wanted to attract attention to velomobiles and imagined expanding the notion of what bike commuting can mean in the U.S. "Why not take these exotic commuter bikes to the United States and bike across the country?" Janning speculates that there are hardly any velomobiles in the U.S. and sees his trip as a way to raise awareness for what they can do. We've contacted Josef and plan to meet the riders as they pass on the trail. Watch our Facebook page for more info. More information about the project is on the BRAC/Fairfax County Parkway page. See also the Phase 3 website that includes a map of the Phase 3 construction. 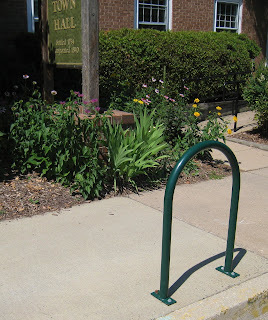 The Vienna Bicycle Advisory Committee (BAC) has been working with the Town of Vienna to streamline the process of getting bike racks installed. The committee developed an application form using the inverted U rack as the standard. According to Cris Janoski of the BAC, the Uniform Bike Rack Application form was approved last night by the Town Board of Architectural Review and can now be used by business owners who want to add bike parking for their customers. Thanks to the Vienna BAC for their hard work on this application. They worked with FABB, the county bike coordinator, and several Town staff to develop the application and get approval. FABB has agreed to pay for at least two bike racks in the Town using funds from the Transurban-Fluor Community Grant Program funds that we received last year. Look for more bike parking in the Town in the near future. At least two businesses, Red Mango and Maple Ave Market, are interested in new bike racks. 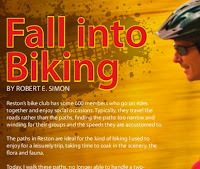 We just received a copy of the new Biking into Fall Robert Simon writes that at his age he no longer rides a bike. He often walks along Reston's many trails. What is truly disappointing is how rarely I have encounters with the young. Where are they? At home glued to their computer or TV? What could be better for the health of these kids than to be outdoors on their bikes? In the same issue of the magazine is an interview with Juliette Rossant, Reston resident and author of the book and blog Super Chef. She's also daughter of James Rossant, the designer and planner of Reston who worked closely with Robert Simon in the early days of this planned community. She laments that her fathers original plans were not implemented, which would have meant more space for pedestrians and bicyclists and less reliance on the car. Sometimes a Bike is Just a Bike: On the symbolism—and politics—of bicycling in D.C. is a good article in the City Paper on stereotypes that have developed about cyclists in the District; "So how did this most egalitarian mode of transportation come to signify for so many D.C. residents a very specific caricature: the rich, white, gentrifying newcomer?" But the idea that bike lanes are the exclusive domain of the city’s younger, whiter class is too simple a story. Like any stereotype, it has holes when you examine it closely; head out onto Beach Drive when it’s closed to cars on the weekends, for instance, and you won’t come back thinking the only people who are serious about bikes in the District are white. David Alpert, editor of the blog Greater Greater Washington, suggests the brouhaha was propped up by media outlets looking for a quick way to frame last year’s mayor’s race. “I think to some extent it became an easy shorthand for people writing about race relations and about divisions in D.C.,” he says. WABA, in partnership with DDOT, has begun education outreach east of the Anacostia River to teach riding, repair, and rules of the road. The organization will hold a total of nine clinics in an area that’s home to some of the city’s poorest neighborhoods—neighborhoods that could stand to benefit the most from access to and knowledge of a cheaper mode of transportation. The clinics regularly see about 30 people, and the series wraps up next Sunday. WABA has created a simple document that can be used for recording pertinent information about your bike. With the form you can enter the bicycle make, model, year, color, and most importantly, the serial number, all very useful information. Recovering a stolen, lost or damaged bicycle without a complete record of the bicycle–including photos, serial number and purchase information–is very challenging. Police will need complete information to file a useful missing property report. The likelihood the police are able to recover your bicycle greatly increase with more information in the report. The study found that the markings installed in advance of the two crossings heightened the awareness of approaching motorists. This was evidenced by reduced mean vehicle speeds within the marking zones. Further, the majority of survey respondents indicated an increase in awareness, a change in driving behavior, and a higher tendency to yield than before, and the markings had a sustained positive effect on speed reduction. 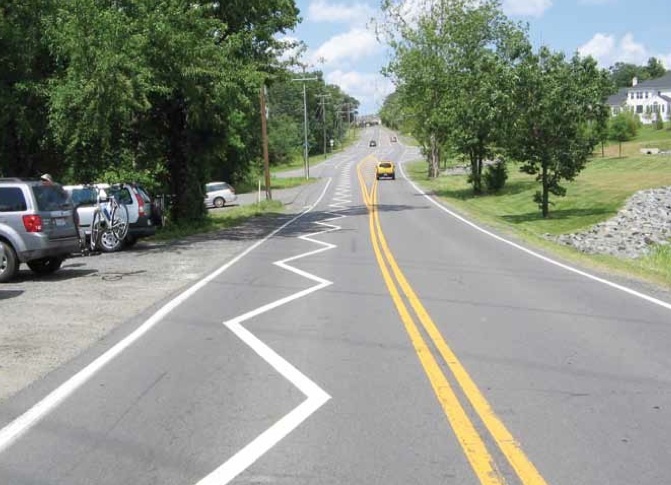 The study also found that motorists have limited understanding regarding the purpose of the markings, and users of the W&OD Trail and motorists are confused regarding who has the right of way at the crossings. We were especially interested in the study recommendations, mainly the one regarding confusion about who has the right-of-way at the trail crossings. Police have been known to issue tickets to cyclists for failure to stop at the stop signs placed by NVRPA. According to the study author: "A cursory review of the Code language in this study suggested that trail users on multiuse pathways may not be obligated to comply with non-signalized traffic control devices where the trail intersects a roadway." RECOMMENDATIONS 5. A review of the Code of Virginia should be undertaken with respect to those sections dealing with trail users on multiuse pathways and their obligation to comply with non-signalized traffic control devices. The purpose of the review should be to determine if legislative changes could help alleviate the confusion about right-of-way, and if so, to suggest appropriate legislative change proposals. Such a review could be initiated, or led, by VDOT’s Traffic Engineering Division with assistance from staff at VTRC. A cursory review of the Code language in this study suggested that trail users on multiuse pathways may not be obligated to comply with non-signalized traffic control devices where the trail intersects a roadway. In addition, the research found there is confusion among motorists and trail users about right-of-way laws regarding the W&OD Trail where a STOP sign is directed toward the trail users. This confusion could compromise safety at these and other similar multiuse trail/roadway intersections. A few years ago we asked our local VA delegate to ask the Attorney General for clarification of the responsibilities of cyclists at the W&OD Trail intersections where there is a stop sign placed by NVRPA at a crosswalk. The Attorney General misunderstood the request and said that motorists must yield to pedestrians and bicyclists when the speed limit is 35mph or less, which is true but didn't answer the question about how cyclists should treat the stop signs. At a road intersection with stop signs on one road crossing another, a motorist facing the stop sign must wait for traffic to clear before entering the road. With a crosswalk in front of a stop sign at a trail crossing, the issue becomes unclear, both for trail users and motorists. We plan to ask VDOT they are conducting the recommended code review. Today another motorist shouted out his window that I should be riding on the sidewalk. I guess he didn't read my recent Patch article about this topic, or he didn't agree with it, not to mention the fact that there was no sidewalk on the road we were traveling; it had ended a few feet back. I won't go into all the reasons why we usually shouldn't ride on the sidewalk. Many motorists also assume that roads were built for them. In fact, cars are the johnny-come-latelies of highways. 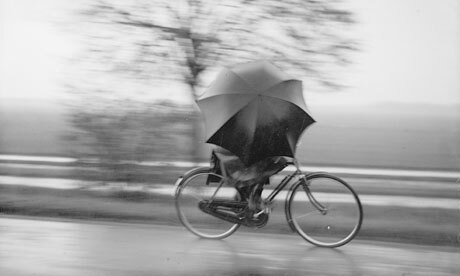 Cyclists' organisations, such as Cyclists' Touring Club in the UK and League of American Wheelmen (LAW) in the US, lobbied county surveyors and politicians to build better roads. The US Good Roads movement, set up by LAW, was highly influential. LAW (now LAB) once had the then US president turn up at its annual general meeting. Hat tip to Owen for pointing out the article. 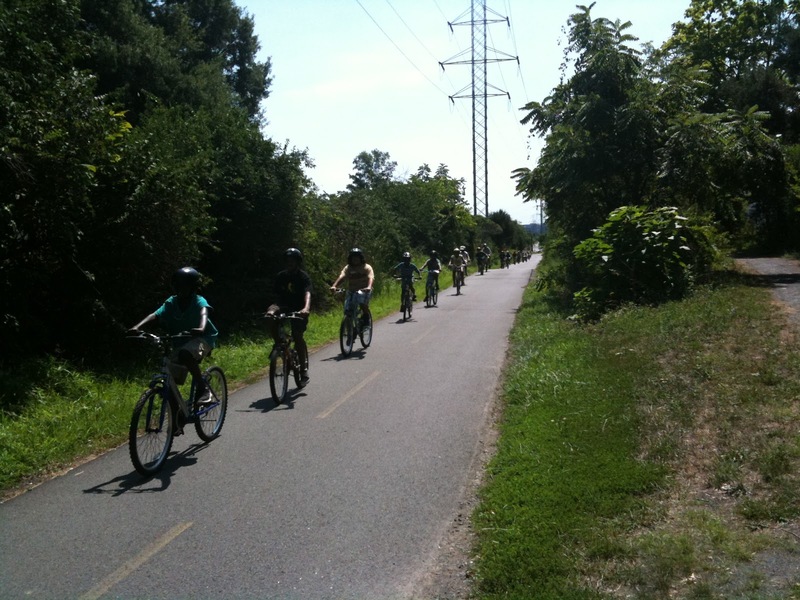 This week we spotted a long line of kids riding bikes along the W&OD Trail between Reston and Herndon. They were participating in a summer program through the Laurel Learning Center at Reston Interfaith. According to the Learning Center newsletter, this is one of the kid's favorite summer activities. Kids are "taught important rules about bike safety from the center’s staff before hitting the road. Those who didn’t know how to ride a bike received lessons from LLC teachers." Let's hope these kids will be able to continue riding their bikes after the summer program. Maybe some will participate in International Walk and Bike to School Day on October 5. Join kids and families from around the world to celebrate walking and biking to school. This year Fairfax County schools plan to celebrate this event systemwide for the first time. Three elementary schools are currently planning events: Terra Centre, Spring Hill, and Lynbrook. Check the International Walk to School Day website to find an event in your area. If there isn't one listed, why not work with your school to encourage them to participate? FCPS should be providing information about the event to parents once school starts. WMATA recently conducted a bike and rack count at all Metro stations. The Vienna station racks were full (blue color in far left circle), with overflow bikes (orange color) parked to any fixed object. Let's hope this leads to more U racks at the Vienna station. 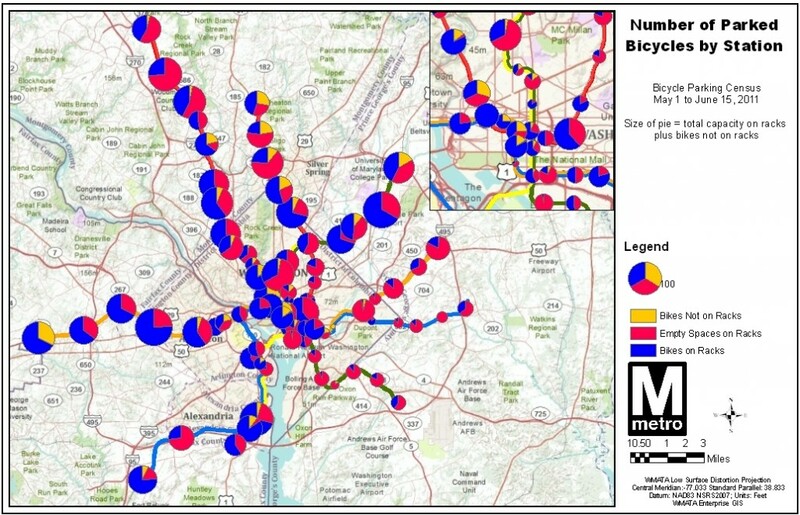 According to WMATA, they "counted bikes and racks at rail stations over a six-week window of peak usage from May 1 to June 15 for a “bike parking census.” Each station was counted on a sunny, warm day typically between 9:30am and 3:00pm. We wanted to learn about the general availability of and demand for bike parking in station areas. For these counts, we specifically excluded bike lockers and the Union Station Bikestation, and focused just on racks. We wanted to know how easy it would be for a new bike-to-rail customer to easily find bike parking near a station. We counted each U-Rack as space for 2 bikes, and used our best judgment for wave, grid, post-and-ring, and other racks. According to the Virginia Megaprojects site, both the Braddock Rd and Gallows Rd bridges over the Beltway will open today. The Braddock Rd bridge will have two 10 foot sidepaths and the Gallows Rd bridge should have a 10 foot sidepath, a 5 foot sidewalk, and 5 foot shoulders. Not sure if these will be open or not. If you know, please comment below. See our HOT lanes summary page from a while back for links to cross sections of most of the bridges. The images are from photos we took at a public hearing and are not very good quality, but you can mostly tell what is proposed. See the Megaprojects news releases about the bridge openings. According to Kingstowne Patch, "Cub Scout Pack 867 is sponsoring a Bike Rodeo for boys and girls on Saturday, August 13th at Bush Hill Elementary School. The school is located at 5927 Westchester Street, Alexandria VA 22310. This event will take place from 9:00 am to 10:30 am. The Fairfax County Sheriff Bike Patrol officers will be on site to help assist in teaching bike safety and setting up bike riding obstacles. Spokes Bike Shop of Alexandria representatives will also be on site to help deliver bike maintenance tips for the children. Light snacks and water will be served for those attending. Be sure to bring your bicycle and helmet for this fun morning." She serves as the district’s technical bicycle and pedestrian design expert. Her emphasis is on providing bike and pedestrian technical assistance on the State’s megaprojects (larger than $100 million), including writing draft procedures for evaluating public-private partnership (PPP) project proposals, reviewing maintenance of traffic plans, providing technical verbiage for innovative PPP project contracts, and reviewing asset management agreements. She is a licensed civil engineer with 26 years of transportation design experience in bridges, highways, drainage, and bike and pedestrian issues. In the bike and pedestrian field, she has served on several State policy task forces and reviewed numerous manual revisions. Engelhart graduated from Louisiana State University. She is a member of the Bicycle Technical Committee and the Pedestrian Task Force of the National Committee on Uniform Traffic Control Devices. Fairfax County DOT recently presented the results of a traffic mitigation study conducted by Cambridge Systematics. 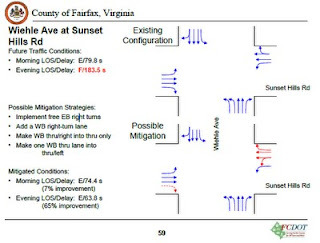 According to the Fairfax Times article Reston rail panel focuses gaze on traffic mitigation, "Discussion focused on possible improvements to five intersections: Wiehle Avenue and Sunrise Valley Drive; Wiehle Avenue and Sunset Hills Road; Reston Parkway and Sunrise Valley Drive; Reston Parkway and Sunset Hills; and Fairfax County Parkway and Sunrise Valley." The planned improvements call for several "free turn lanes" where motorists can turn right without stopping. An example is the southbound lane on Wiehle Ave at the the Sunrise Valley Dr intersection. Motorists rarely stop for pedestrians at this location, which is a adjacent to the future rail station entrance. A second free turn lane for westbound Sunrise Valley Dr traffic is being recommended at this intersection. If implemented it would be nearly impossible for pedestrians and cyclists who are on the adjacent sidepath to cross Wiehle Ave. These are definitely not improvements for pedestrians and cyclists. A similar treatment is proposed for the Wiehle Ave/Sunset Hills intersection which is adjacent to the northern station entrance. At one time this location was the site of the highest number of ped/bike crashes in the county. Cambridge is proposing a free eastbound turn lane for Sunset Hills traffic. The W&OD Trail is nearby and there's a major paved trail along Wiehle Ave that will be used by many pedestrians and bicyclists when the station opens. Eastbound traffic now barely stops and we've had many, many close calls from motorists looking left and turning right on red, despite signs prohibiting that behavior. A while back we took a 30-second video of vehicle behavior at this light when it was red, showing that almost none of the vehicles actually came to a stop. It's doubtful that this behavior was factored into the analysis. Instead of making conditions worse for pedestrians and bicyclists, the opposite should be happening. We discussed these intersection changes with FFX DOT staff and they are well aware of the negative consequences of these recommendations on non-motorized travel. At some point the community has to decide whether it's more important to move cars or move people, especially around Metro stations that are planned as mixed use areas. The Reston Master Plan Special Study Task Force will likely discuss this topic at their next meeting on Tuesday, September 13th, at 7pm at the Lake Anne Community Center. See the Dulles Corridor Special Study Transportation Analysis Update and Mitigation Strategies Discussion presentation. 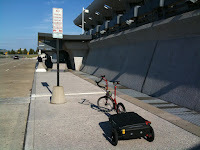 Yes, it is possible to ride to Dulles Airport. 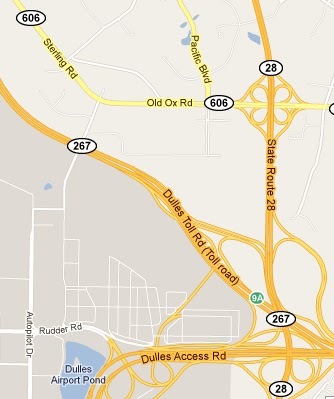 A while back I inquired about riding there and was told by an airport official that there is a service road that employees use that connects to Rt 606/Old Ox Rd north of the airport. Yesterday I returned from a trip to Jacksonville and decided to finally check out the route. I own a Bike Friday New World Tourist folding bike that packs into a suitcase. After assembling the bike, attaching the trailer frame and putting my other pack into the suitcase, I was ready to roll. From the arrivals level I rode around Saarinen Circle to Copilot Way. I missed the right turn to reach Airport Dr so I continued straight to Cargo Dr turned right and then left on Airport Dr. I left the airport at 4:45pm which must have been a shift change because there was lots of traffic on Airport Dr. I continued north to almost the end of Airport Dr where I turned right on Materials Rd then left on Ariane Way where traffic got even heavier. There's a climb to cross the bridge over the Dulles Greenway, then the road descends to 606/Old Ox Rd where I turned right. This is a busy commuter road but I had no problems riding the short distance to take a left on Pacific Blvd. I headed north on Pacific to reach Sterling Blvd as it is the shortest route to the W&OD Trail. Sterling Blvd is also a busy commuter route. I then turned right on the W&OD Trail and headed to Reston. On the way I saw the Reston Bike Club group headed west on their Wednesday Social Ride. I live near South Lakes HS in Reston and the trip took about an hour, which was probably shorter than taking the bus and much cheaper than the $25 taxi ride. There were some major, congested roads on the route, so experience riding under those conditions is recommended. It will certainly do the trip again in the future as it's much easier to get to the airport by bike than I had thought. I was returning from a trip to Jacksonville to visit my mother, who lives in Atlantic Beach, about 25 miles away. From the airport there's a decent bike route to Atlantic Beach that makes use of the Mayport Ferry to cross the St. Johns River. There can be heavy traffic on the weekends and one of the roads, Heckscher Dr, has been under construction for several years, but when finished it will also have bike lanes. It's a great way to avoid renting a car, taking a taxi, or avoiding an excruciatingly long bus ride with multiple transfers. If you've always wanted to rent a bike locker at Fairfax Metro station, now is a good time to rent one. What's the catch? WMATA raised the fees from $70 to $200 last July and now there are more empty lockers than before the increase. According to a good post on GGW about the lockers, at the Vienna and Dunn Loring stations 50% of the lockers sit empty. Forty-five percent of the West Falls Church lockers are empty. Lockers at the Huntington station are 100% filled, which is only true at two stations in the system. Twenty percent of the lockers are available at Franconia-Springfield. Thanks to the efforts of a diverse coalition of regional groups that worked closely with the Maryland Motor Vehicle Administration and State Highway Administration, a revision to the Maryland State Driver’s Manual that addresses sharing the road with bicycles is being issued this Fall (2011). This Manual will serve as the basis for improved driver’s education and new driver’s licensing examination questions. It is hoped that this can serve as a model for other jurisdictions as a means of introducing bicycle safety education into the automobile drivers’ mindset early in their training. See the full text of the Sharing the Road section. 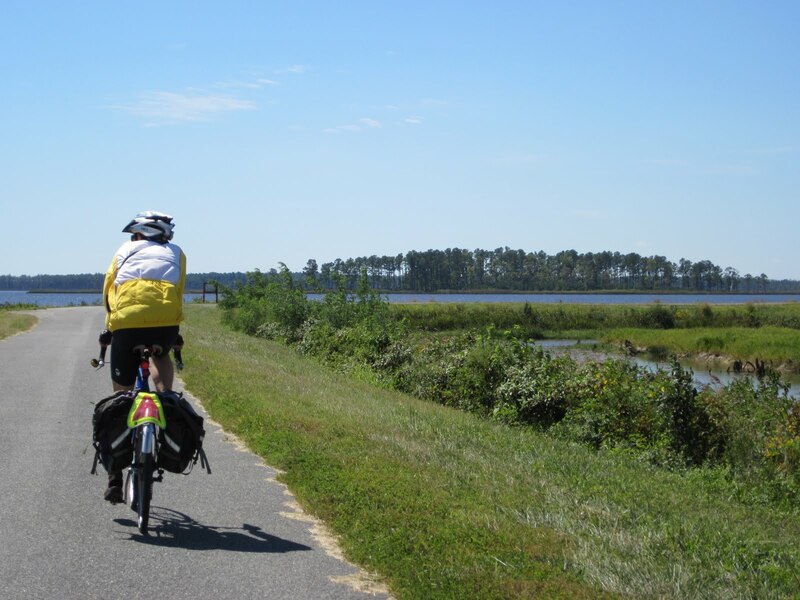 It was just announced that Jakob Helmbolt, the former VDOT Bicycle and Pedestrian Coordinator, was selected as the first Bicycle, Pedestrian, and Trails Coordinator for the city of Richmond. Jake left VDOT to work for VHB in February 2010 and he now returns to the public sector. He has great experience and should be a tremendous asset for Richmond as they continue to work towards becoming a more bicycle friendly community. According to VBF "We’re fortunate to have talent like Jake on board." We occasionally write a blog on the Reston Patch about cycling issues. The latest is entitled Where should cyclists ride? 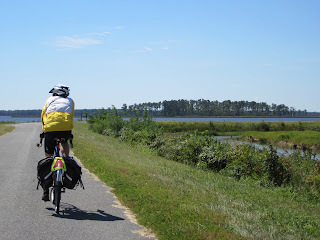 Cyclists can either ride on the road or on a trail or sidewalk in most places in Virginia. However, given the lack of bicycle infrastructure in Fairfax, we almost always will be riding on the road at some point in our trip. 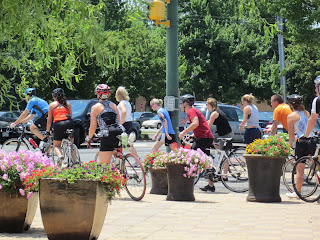 The article discusses why cyclists ride where the do when on the road. It's mostly an attempt to educate motorists to expect cyclists in the road and to give us respect. I for one am tired of being harassed on a regular basis by motorists who think I belong on the sidewalk. The other day I spoke with a woman who had made the very sensible decision to use her bike for her main form of transportation. When she weighed all the factors of how much it cost to purchase and maintain a car vs. using a bike, the bike won hands down. However, once she began riding regularly she was upset that on several occasions motorists yelled at her to get on the sidewalk, and she wondered if that's where she should be riding. The article tries to address that issue. Protect, don’t prosecute, pedestrians is the title of an opinion piece in the Post today by David Goldberg of Transportation for America. He writes about how the woman in Atlanta "who did not even own a car could be convicted of vehicular homicide in the death of her 4-year-old son, who was killed by a hit-and-run driver." They were trying to cross the street to reach their home after getting off a bus. Nelson was found guilty of killing her son by crossing the road in the “wrong” place. But what about the highway designers, traffic engineers, transit planners and land-use regulators who placed a bus stop across from apartments but made no provision whatsoever for a safe crossing? Those who ignored the fact that pedestrians always take the shortest possible route but somehow expected them to walk six-tenths of a mile out of their way to cross the street? Those who designed this road — which they allowed to be flanked by apartments and houses — for speeds of 50 mph and more? And those who designed the entire landscape to be hostile to people trying to get to work or carrying groceries despite having no access to a car? Are they not culpable? This phenomenon is not unique to metro Atlanta. Transportation for America researched 10 years’ worth of pedestrian fatalities nationwide and found this pattern again and again. The bodies line up like soldiers along certain corridors — the first clue that the roadway is not designed for the safety of the pedestrians who are obviously using the road. This is a major issue in inner-ring suburbs across the country, places originally built as auto-only suburbia that now are home to many lower-income families who don’t have access to cars. Neither the public transportation system nor the highway designs work for those who live, work and walk in these areas. People are being punished and killed simply for being pedestrians. Our research shows that thousands of lives could be saved — and millions more lives improved — by retrofitting these dangerous roads, as many communities are trying to do. Some in Congress, such as Rep. John Mica (R-Fla.), are attempting to kill the small slice of funding dedicated to projects that make it safer to walk or bicycle. As the vast majority of these dangerous roads were built under federal programs, fixing them to be safer should be a national project. A fund for safety retrofits should be part of the transportation bill under consideration. Millions of Americans are walking, bicycling and catching the bus along roads that are not properly designed to accommodate them. Twenty-five percent of walking trips are on roads with no sidewalk or shoulder; bike lanes are available for only 5% of bike trips. This makes our streets more dangerous and encourages more people to drive to meet their needs. Our transportation system should provide for the one-third of Americans who do not drive, including the elderly, the poor, and the young. Without walking, biking, or transit they have no opportunities for mobility. Roads designed only for cars hamper development of compact, walkable communities. These streets deter people who might choose to drive less and avoid the high cost of gas if safe options were available. 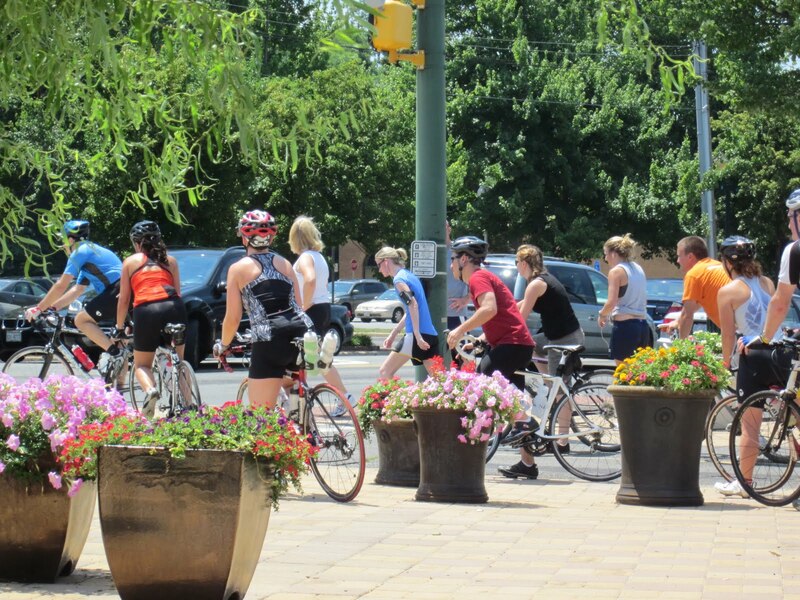 In our July-August newsletter we mentioned that VDOT has a new bike coordinator, John Bolecek, and that we planned to invite him for a tour of Fairfax. John was in town this week sitting in on a UVA-sponsored training course, Designing for Bicycles, and he was able to spend the morning with us on a mini-tour of Fairfax. Zack Fields of Congressman Connolly's office was also able to join the ride along with Fionnuala Quinn and Kerie Hitt of FABB. From Vienna we rode north to Tysons Corner to see an important bike route into Tysons where shared lane markings are needed on Old Courthouse Road at Freedom Hill Park. We then headed east along Old Courthouse Rd where bike lanes could easily be striped between Route 123 and Gallows Rd. We headed south on Gallows where bike lanes should be constructed this year. We stopped by Kilmer Middle School where Congressman Connolly attended a ribbon-cutting for their new bike racks and saw the new bridge connecting Wolf Trap Rd. We then headed to the W&OD Trail to see that new bridge over the Beltway and discussed some issues there including the need for permanent fencing on both sides of the bridge. From there we rode to Gallows Rd and headed south on the bike lanes toward Dunn Loring Metro, discussing the need for shared lane markings where the bike lanes end just north of the I-66 bridge. At Dunn Loring Zack headed back to work on Metro. Even on a raining morning the bike racks at the station were nearly full. We then discussed the planned future growth in the Merrifield area and the need for good bike access to the Dunn Loring station and in the surrounding community. We headed back to Vienna via the narrow bridge on Cedar Lane over I-66 to a left on Cottage St. It was great meeting John and having a chance to spend time with him and Zack discussing some of the issues we face here in Fairfax. 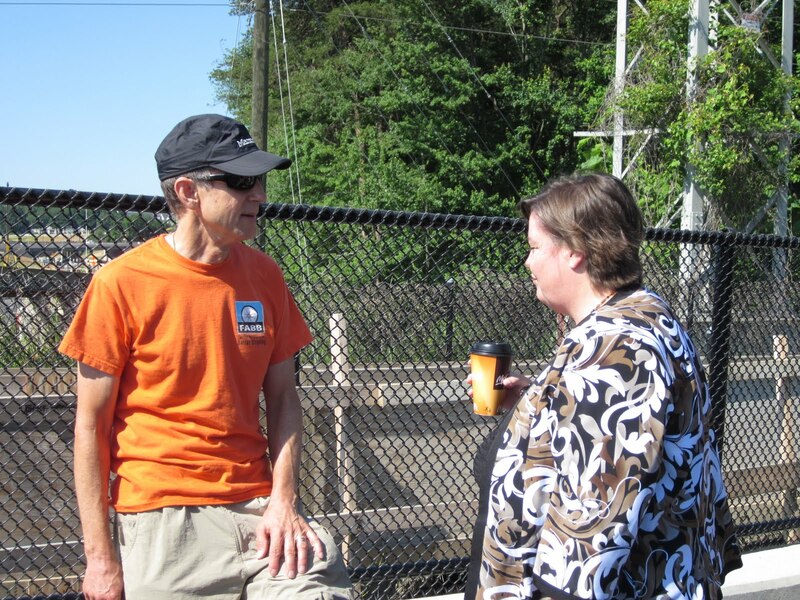 We look forward to working with him to help make Virginia more bicycle friendly.